Chess is a world famous game and helps in one`s mental development. In this article I will discuss about chess, how it can be beneficial to you and how to start playing chess and the basic rules that you need to know. Chess is a strategy board game played between two players. The board has 64 back and white squares. There are total 32 pieces which are divided equally between the two players. It is one of the most famous games. 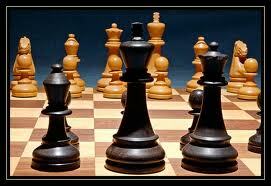 The origin of Chess is believed to be from the north western India. There are many world level tournaments held for Chess. What are the advantages of playing chess? Chess develops logical thinking: Playing chess is nothing but applying one`s logical thinking. One has to make moves that make sense. Chess helps in concentration: Concentration is needed for playing chess as one needs a calm mind to make the plans and tactics to play Chess. Chess helps you to foresee things and make plans accordingly: While playing chess one makes a plan and plays accordingly. One has to foresee what the opponent is up to and which moves will he make if he makes a particular move. Chess also helps in Memory retention:Chess players have to remember certain steps that can give them advantages and avoid falling into the opponents plan by remembering the tactics that the opponent generally uses. Chess develops decision making power and independence: While playing chess one has to make important decisions where they may have to sacrifice pieces to get a win. This tactic can backfire sometimes and this is where one will learn how to make decisions. By regular practice one will get more confident and this will show in his day to day life. Chess helps in learning psychology: One has to learn how the opponent thinks, what kind of player he is, is he an attacking player or a defensive player and make his plans accordingly. This helps in understanding psychology and hence can help in day to day life. More important, it can really be fun: Chess playing can be fun and there is nothing more enjoyable than a lazy Sunday afternoon and a game of Chess with your best friend. The rules of chess may seem complicated to the beginner, but in fact they are quite simple. Each piece has a definite style of moving and attacking. The ultimate aim of the game is to capture opponent`s King. The pieces are coloured black and white. One person will play with the white pieces and one with play with black pieces. The player with white pieces will start the game. How do the pieces move? There is one general rule for all the pieces. A square can hold only one piece. One cannot land on a square occupied by it`s own piece. Also if one wants to land on a square occupied by enemy piece, then the piece is rendered captured and is taken out of the board. Also with the exception of knight, pieces cannot jump over other pieces. It has a fort tower type of top. It is allowed to move in a straight line. It can be either horizontal or vertical and can travel up to any number of squares and attack any piece in its line. The bishop has a pointed top. It can move in diagonal lines. It can also move to any number of squares and can attack any piece in its line. The queen has a crown that as the name suggests looks like a queen`s crown. It can move in horizontal, vertical and diagonal ways. It can also move to any number of squares and can attack any piece in its line. The king has a crown that looks like a King`s crown. It can move in horizontal, vertical and diagonal ways. It can however move only one square and can attack any piece in its line. The king is the most important piece of the game and if it is captured, then the game is finished. The knight looks like a horse and hence can be easily identified. However it moves in an irregular manner and this can be quite confusing. It moves in a L shape and moves two squares in either horizontal or vertical and moves to the left or right and moves one square. Or it can be one step in either horizontal or vertical and move left or right. One peculiarity of Knight`s move is that it can jump over one`s piece. So even if there is one`s own piece in the path, it can still jump over it. Please note here that it doesn`t capture the pieces it jumps over but only the one it falls on. It is the smallest piece in chess both in size and power. It can move either one step or two steps on the first move and thereafter it moves only one step only in the front direction. However it captures the piece which is diagonal to it one square. It cannot however capture the piece in front of it. The king and the rook both move at the same time to form a castle. It can be done only once and there must be no pieces in between. Also the two pieces mustn`t have moved. If the pawn reaches the end of the board, then it is entitled to be promoted to any stronger piece. First and foremost please make sure that you have white square on your right side. This is the right way to keep the board. Place the King and the Queen in the middle two squares, if you have a white queen then keep it in the white square and if you have a black queen then keep it in the black square. Place the two bishops on either side of the King and the queen. Place the rooks on the either side of the knights. Place the pawns on the square on the second rank. When the king is under attack by an opponent`s piece, the opponent has to give a formal warning that the king is under threat by saying check. The player must take action to avoid having the king captured. He must move his place to a safer square or block the attack by another piece. If he is unable to do so or fails to do so, the game is over and the person who gave the check wins the game. Also if a player resigns the game foreseeing that he will not be able to prevent the King from falling then the opponent wins. Sometimes however the game may end in a draw. The common ways are stalemate, where there is no place for the king to move but there is no check. Also the players can agree on a draw if they aren`t left with enough pieces that can bring about a win. Also if the same step is repeated three times by both the players, the game can be brought to a draw. There is absolutely nothing to worry about buying a chess set. Just go to the shop and you can get any set and can judge by the looks or quality. However make sure that there are 64 black and white squares. Also count the number of pieces. It must be total 32 and check the pieces if they are correct.